Time is a funny thing. Sometimes it can be everything, other times it can be nothing. It’s something we have no say in. It’s something that’s beyond our reach. We can’t control when we feel things, nor can we control when we discover we feel them. It’s all about timing. But here’s the thing about it: time can either work for you or be actively working against you. Like the times when you love someone but the timing is off. Or when you fall in love and the timing is perfect. But if at the time you didn’t know it, what does it matter? If at the time you didn’t feel it, what do you do? You learn to embrace each and every second. You realize that each moment that passes is one more second wasted or one more second successfully spent. While you can’t control time, you can control how you choose to spend it. You can have all the time in the world, yet waste it waiting for your life to start. Or you can realize that the time to start living is this moment, here, right now. Now is the time to say how you feel. These are the moments that count. Even if the timing feels wrong. Even if you think it’d be better if you waited. Do it now. Make it count. Because the truth is acting on what you feel, when you feel it, is never a waste of time. Actually, it’s kind of the point. Time presents you with moments, it makes life a clock. Much like the clocks on our walls, or the ones in our watches, we try to make time change all the time. We click snooze on our alarms. We set our clocks forward in the spring and set them back in the fall. But no matter what we do time isn’t really changing. 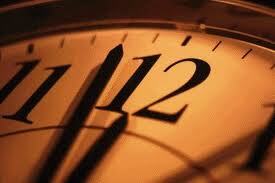 There’s still 24 hours in a day, seven days in a week, and 365 days in our year. That should be a comforting thing. That although life may change, time really does not. Regardless of everything, it’s 365 opportunities to take the time to feel; to find the time to live. To not let the moments just pass like so often the minutes do. To finally stop waiting for time to stand still because guess what? It doesn’t. Time stops for no one. We can’t rewind it. We can’t speed it up, and we sure as hell can’t click pause. Time, like life, goes on whether we’re ready or not. Every day and every breath we take is just another example that time is passing us by. Sure, that can be a scary thought, but you have to remember that it’ supposed to be. Whether you want to admit it or not, fear is a good motivator. So let it be one. Let it motivate you to make the time you do have matter. To make the moments shared with people you care about, worth it. To make the life that you’re living count.